I am a co-founder (with Anoushe Shoja and Deanna Knapik) of this crazy event is that takes place annually, now in its third year. “This will again be a total mess. 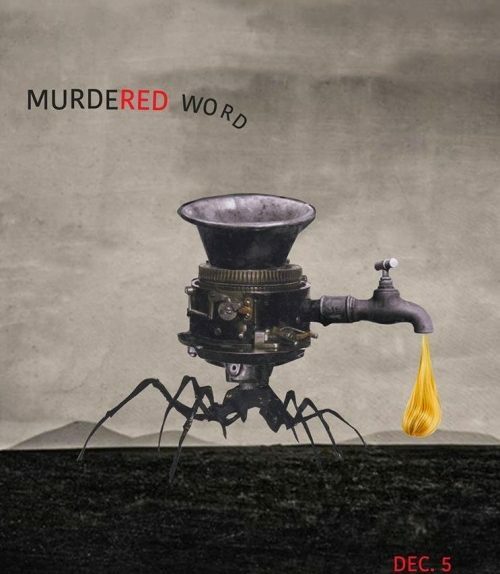 Murdered Word is still an opera of simultaneous actions. A hyper-environment of party art and weirdness. A living sculpture of randomness. A circus-like night of nonsense. It’s just a party chill out, a celebration of Do What Thou Wilt, a promotion of a philosophy of conscientious hedonism. 30-50 artists doing whatever they want.